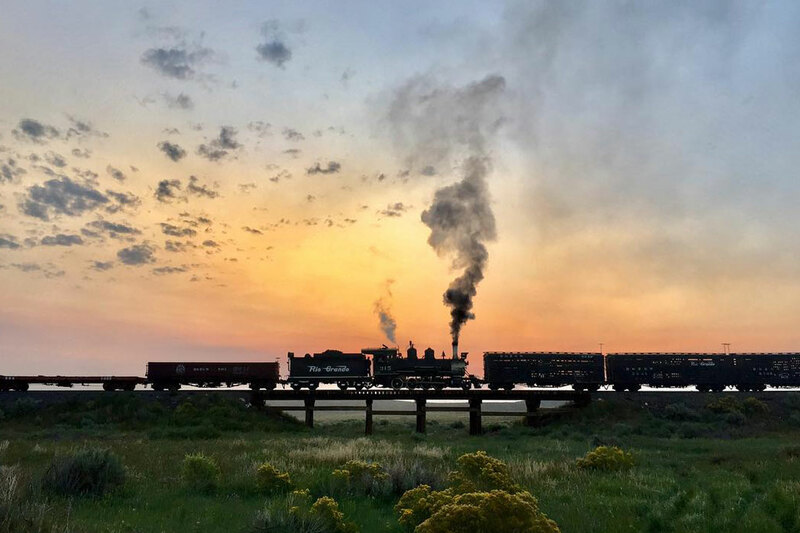 The Cumbres & Toltec Scenic Railroad will begin its 49th season on May 25, 2019 with authentic, coal-fired steam locomotives departing daily from both Antonito, Colorado and Chama, New Mexico. The authentic and historic steam railroad, jointly owned by the states of Colorado and New Mexico, will operate through October 20, 2019. The train follows 64-miles of tracks first laid down in 1880 that cross the border of the two states 11 times, skirting along canyon walls through Toltec Gorge, burrowing through two tunnels, steaming over Cascade Trestle (137-feet above a roaring river), and climbing to the top of 10,015-foot Cumbres Pass, the highest point reached by any steam railroad in North America. Opening day will offer the added thrill of not one, but TWO special double- headed trains. Trains pulled by two steam engines are extremely rare in the 21st century. Opening day will feature double-header trains departing from both Chama, NM and Antonito, CO. Passengers will have the rare thrill of witnessing four steaming locomotives together at the scenic Osier Station lunch stop, half way between both starting points. Double-header trains will depart from Antonito, CO and Chama, NM. 9:00 a.m. ceremonies in both Antonito, CO and Chama, NM feature dignitaries from both states and local entertainment with a southwestern flair. For more information, visit https://cumbrestoltec.com.